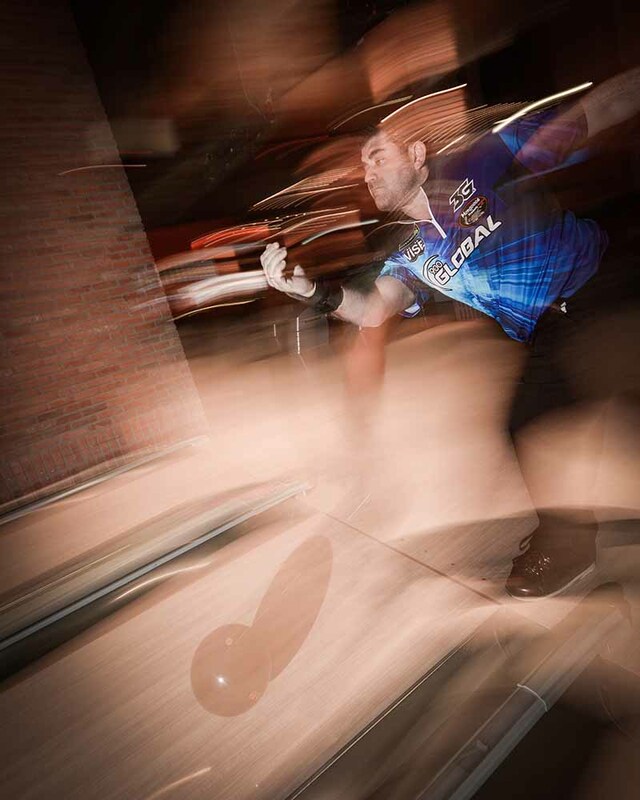 Arizona native Steven Black lives and breathes his passion for bowling. Now on the professional circuit, Black, 33, loves his sport, loves to win, and aspires to reach the highest level of mastery. In a narrative of successful junior career, college, pros, injury, sabbatical and comeback, one could say he is in a league of his own. 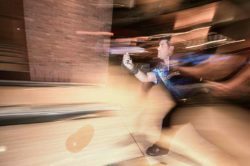 As a toddler, Black was frequenting bowling alleys on the weekends with his dad Ronald. From the beginning, it was clear he had a natural aptitude for the game. His father enrolled Steven in a Bantam League at the ripe old age of 2 because of his potential. “My dad was my greatest fan, coach and supporter and was always there for me,” Black said. 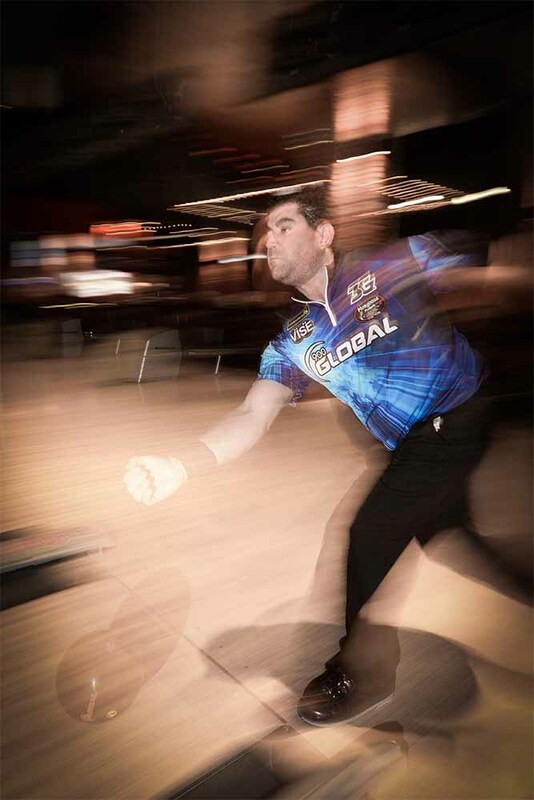 Starting competitive bowling at age 7, he traveled with his father almost every weekend. 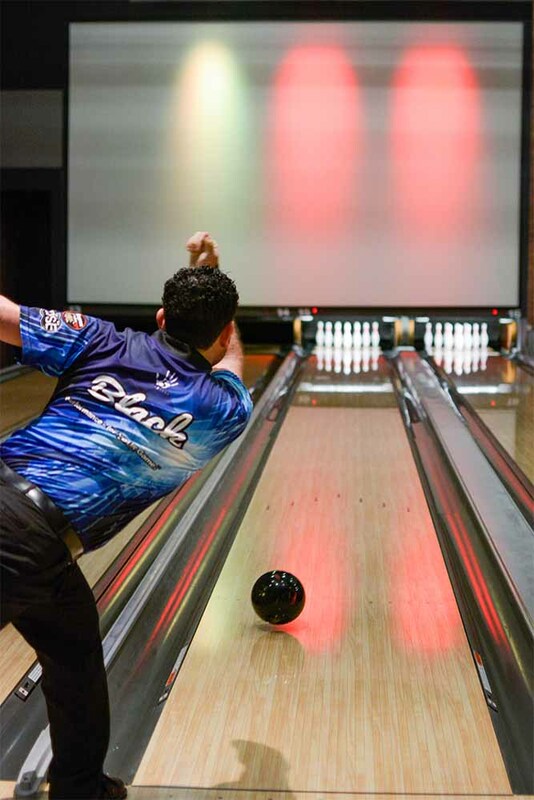 At 9, he played his first tournament in the Junior Bowlers Tour, and won. “I just wanted to win everything, every tournament I could get my hands on, and played my first 300 game at age 9,” Black said. 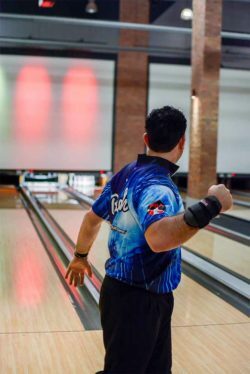 Into his early 20s, he continued to travel around the country in league tournaments using his spare time to practice and hone his skills. All the money he won competing went into a scholarship fund for college. Altogether he managed to collect over $75,000. “My entire education at ASU was paid for with my scholarship fund,” Black said. He graduated with a degree in film and media. At ASU, Black was also the captain of the bowling team, which competed in tournaments throughout the United States. Before entering ASU, Steven married his high school sweetheart Kassie. She is an athlete in her own right. Captain of her high school golf team, she won an Arizona state championship. 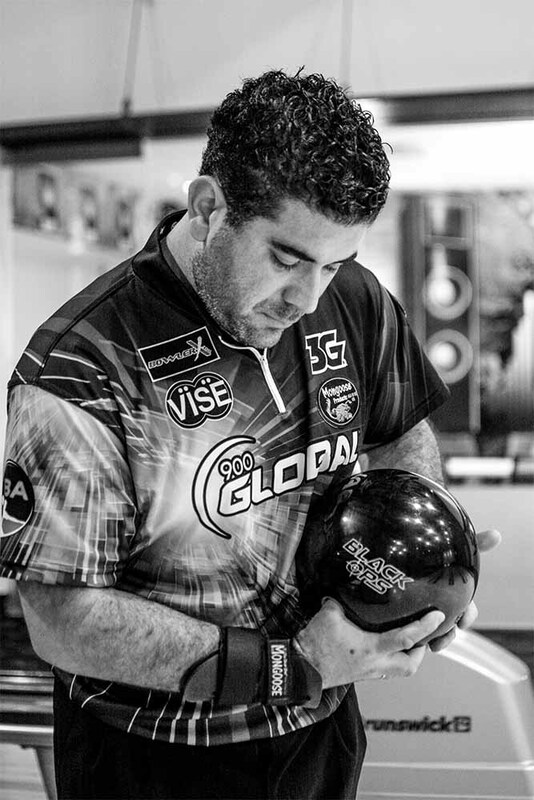 After college, Black went on tour and won his first Professional Bowlers Association title. 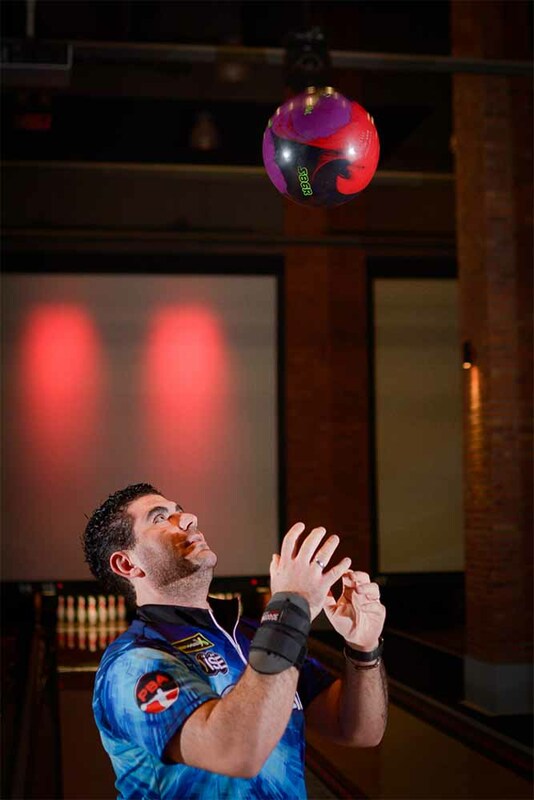 In 2010, he won three regional titles and was named PBA Western Region Player of the Year. Kassie Black is the backbone of Steven’s career and public life. She manages all the strategic business details and accompanies him on tour. Black will tell you, “Kassie and I are a power couple!” In addition to their turbo-charged career-life, they are raising four young children – Eliana, Zackary, Emma-Mae and Zander – and Kassie said they love going to competitions with them. 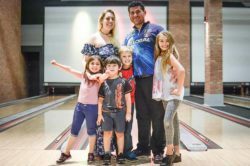 Steven’s pro career is the family’s lifestyle. “It’s not always easy, but it’s what we do, it’s what we love,” she said. 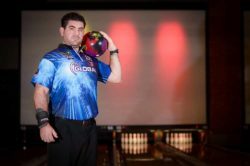 After being diagnosed with two herniated discs and sciatica as a result of the years of intense activity, Black took a sabbatical from the bowling world and opened a restaurant with his wife in Dana Point, California. After two years, he returned to Arizona to be close to his dad, who was recovering from heart surgery. The Blacks moved to Rancho Mirage in Maricopa in 2014. He entered a rehab program for his back with an intense regimen of physical therapy, training and medication. “I found a regime that would help keep me fit and enable me to resume my bowling career,” he said. Black also works from home as a certified bowling coach. He coaches professionals, juniors and kids. Black also has a few tips for amateurs: Go to a pro shop to make sure you get the proper fitting shoes. 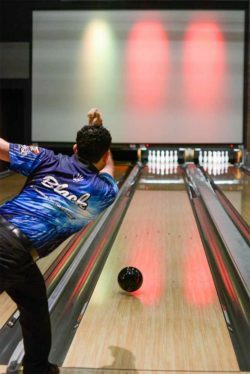 It is also crucial to have a professional assist you in selection of a bowling ball. Earlier this year, Black was approached by sponsors to return to professional bowling and the National Bowling Tour. He and Kassie will be touring all of 2018 with a full schedule.